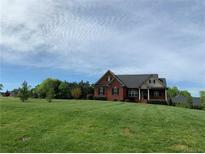 Weddington Ridge - This is a must see home! MLS#3495604. Russell Tanner Real Estate. Home comes with a 30-day buyback guarantee. Terms and conditions apply. MLS#3495879. Opendoor Brokerage LLC. Convenient to schools. Ready to show and sell! MLS#3496067. ProStead Realty. Stewart Park - There is a back alley for easy exit from the property without having to enter onto the highway. MLS#3495137. Allen Tate Wesley Chapel. The Brooks - All this in a prime location of Wesley Chapel / Weddington. Close proximity to shopping & restaurants. MLS#3489562. RE/MAX Executive. Check out the new Monroe Bypass making house 20 minutes from 485/Hwy 74/ Hwy 51 area. MLS#3492933. ProStead Realty. Oakstone - Extra parking space added in 2017. MLS#3495136. Better Homes and Gardens Real Estate Paracle. NO HOA!!! Come home to the country!! ! MLS#3492256. Russell Tanner Real Estate. St Johns Forest - ?Florescent Shop lights in garage DO NOT CONVEY...they will be replaced with old lighting which was just a bulb in the garage. MLS#3495576. EXP REALTY LLC. Smith Field - A very special place to call home! MLS#3494671. Cindi Heafner & Co LLC. St Johns Forest - This Home is a Must See! MLS#3493907. EXP REALTY LLC. nice sized yard. All brick home. MLS#3494468. Allen Tate University. Secrest Hill - The list goes on and on! Won't last long.... MLS#3483603. RE/MAX Integrity. Oversized 2 car garage back load. Must see to believe! ! MLS#3494223. Appleseed Realty. Meriwether - Community offers amenities such as a pool, volleyball court, basketball court, and walking trails. MLS#3493854. Allen Tate Matthews/Mint Hill. Woodlands Creek - Seller offering 3k in closing cost assistance with acceptable offer. MLS#3493568. Keller Williams Union County. Location is close to Shopping, Restaurants, Grocery Stores, etc... Large Level Lot! MLS#3493838. RE/MAX Executive. 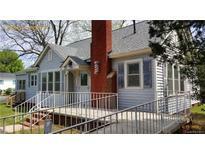 Saye Brook - Full brick ranch with oversize garage nestled at end of culdesac street. HUGE fenced in backyard. MLS#3493475. Ross & Associates Real Estate. Myers Meadows - Buyers lender must approve this prior to closing.Fire pit off patio, storage shed. A must see! MLS#3493323. Rankin Realty. Dont miss out on this amazing property! MLS#3493648. Carolina Realty & Investing Group LLC. Home comes with a 30-day buyback guarantee. Terms and conditions apply. MLS#3490753. Opendoor Brokerage LLC. Stop by and take a look today! MLS#3493146. OfferPad Brokerage LLC. St Johns Forest - Oversized dining room, fenced yard, storage shed, Screened porch and patio a must see! MLS#3492685. Allen Tate Ballantyne. Asbury Downs - Here is how to get away from all the hustle and bustle but still be not to far away to miss out on that great job. MLS#3492855. Coldwell Banker Residential Brokerage.